I was Featured on Entrepreneur Magazine’s Website Again. Here’s the Scoop! A few days ago I came upon a very nice surprise. The popular Entrepreneur Magazine had featured one of my mini-books called “From Employee to Online Entrepreneur” on their website! This is something that occurred organically and indirectly, meaning that I was not actively involved in the process. In this post, I want to explain how this happened and also share some lessons from the whole experience. 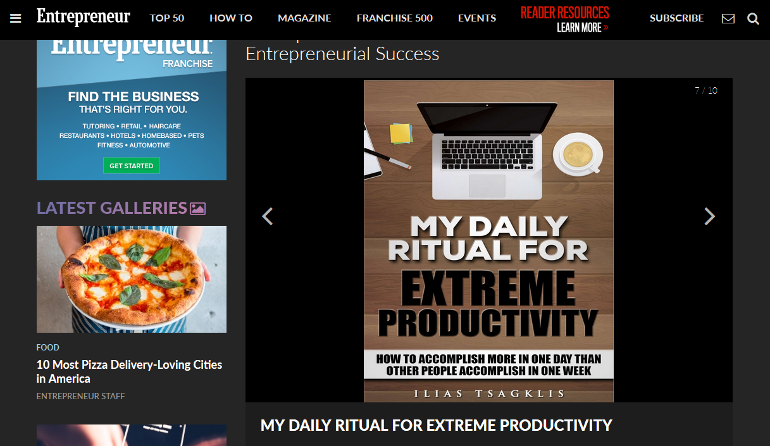 First of all, a few months ago, another mini-book of mine was featured on Entrepreneur along with some other resources in their list with “10 Inspirational Must-Read eBooks to Accelerate Your Entrepreneurial Success”. I looove helping people accelerating their success! 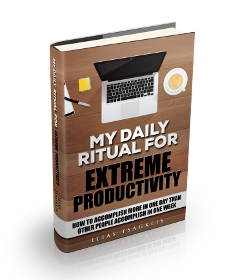 That mini-book was essentially a nicely formatted version of my article where I describe My Daily Ritual for Extreme Productivity which happens to be the most popular post on this blog. This time, Entrepreneur took it a step further and featured the “From Employee to Online Entrepreneur”” mini-book on a standalone post recommending it to people that are struggling financially and/or are trapped in a dead-end job. 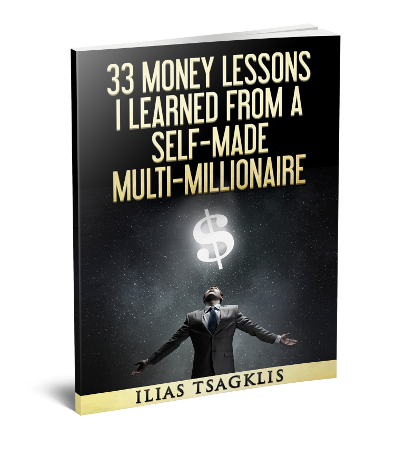 That book is a compilation of several articles published on my Wealth Triumph blog which were also nicely formatted as a standalone and distributable asset. If you would like to get the mini-books, along with many others, just hop on my newsletter. If you noticed, in both cases, Entrepreneur was not directly promoting the mini-books by sending traffic to my blog, but rather by sending people to Tradepub which is a partner of both theirs and mine. For example, if you are a software developer you can find valuable resources from various companies/publishers, which in return gain access to your contact information and might reach out to you. Entrepreneur: They monetize their audience while providing value to them. Readers: They get free access to curated, valuable resources like my mini-books. Tradepub: They are building an audience of professionals and monetize it. Wealth Triumph: My message is getting spread and I also grow my audience. Other Publishers: They may target a high-end audience in a cost-effective way. 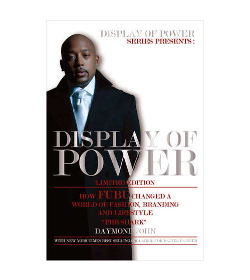 With this neat arrangement, readers gain access to high value assets like the book written by Shark Tank’s Daymond John. Yes, you can get the complete book for free. Yes, I have read it and it is freaking awesome. Now, since I was not in direct communication with Entrepreneur magazine, why did they decide to feature my mini-books choosing them from an ocean of options? This blog is a personal branding tool and a platform to spread my message (“Build lasting wealth via entrepreneurship”) to the world. Wealth Triumph is NOT how I make my money. I am already ridiculously busy with my online media company and with the digital publishing company that I am starting out, so I only spend a few hours per week on the blog at this moment. Those few hours are allocated towards providing quality material and tons of value. I might not write much, but I think I write powerful articles that have an impact on the reader. At the same time, whenever I create material to distribute to the world, I make sure that it looks great. Have a look at the covers of the mini-books. They look clean and are attractive to the eye. Most other ebooks out there have lame, awful covers. Mine stand out and create a good first impression. This is similar to the point above, but it deserves a separate mention. As I said, you need to provide quality products and services, even if it is a small booklet. There is too much noise out there, so people are forced to seek out quality. The only way to stand out is to be unique and of high value. Both guides are well-written and nicely formatted. Also, bear in mind that both mini-books provide tons of value, which brings us to our next point. The only way to achieve success and eventually build wealth is to provide massive value. This philosophy is ingrained into everything I do, so those mini-books were no exception. The first one is a massive guide on how to increase your productivity to levels you never thought possible. If it only helps you increase your output by let’s say 5%, this extra gain projected to years of work is enormous. 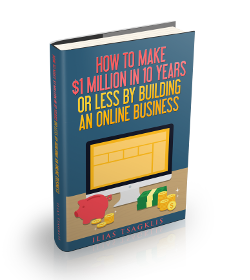 The second one is a gigantic compilation of articles (spanning 20,000 words) that guide you from being an employee to starting your own online business and scaling it to $1 Million. If that is not valuable, I do not know what is. This must be the most common reason why people fail in business and remain “wannapreneurs”. Instead of being consistent and staying committed, they just give up and move to the next thing. In this case, those two books of mine were not a “one hit wonder”. If you check my personal page on the Tradepub platform, you will see that I have over 20 of those mini-books. Not 2 or 3, but 20+. Being persistent and committed always pays off. Another common mistake that businesses make is that they provide solutions and products that are not needed in the marketplace. Since nobody cares about them, they fail to generate revenue and fail. In the case of my mini-books, there is a clear value proposition that helps people solve their real-life problems. People do not know how to work efficiently and effectively, so a solid guide on productivity is going help them in that area. Also, a lot of people are employees stuck into the rat-race and wish to get out of it. 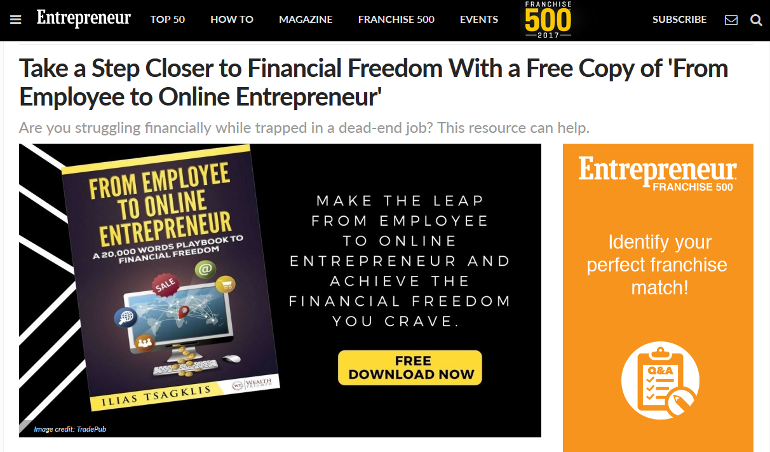 A guide on how to go from employee to online entrepreneur is massively valuable. Remember, a successful business is built upon solving a real market problem. Getting featured on a major online publication is a confirmation of the quality material that I strive to provide with my personal blog and also a nice psychological boost. Of course, this was not an accident, but the result of consistent effort and valuable work. Going forward, I will continue staying “below the radar” while I am growing my businesses, and I expect to switch gears during the next year. Revenue is Vanity. Profit is Sanity. Cash is Reality.